Climate change hits the poorest members of the world’s population the hardest. Women, who comprise 70 percent of those living in poverty, are especially vulnerable to the effects of climate change. More women globally earn a living from agricultural production—which is highly sensitive to fluctuations in weather patterns—than from any other industry. And China, as a largely agricultural nation, is no exception. 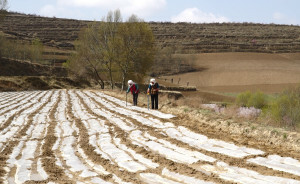 According to a 2009 report by the antipoverty charity Oxfam, there is considerable overlap in China between ecologically fragile areas and poverty-stricken regions, where women’s incomes rely heavily on natural resources and the local environment. Extreme and frequent natural disasters, such as droughts and floods, make it even more difficult for women in impoverished rural areas to earn a living. 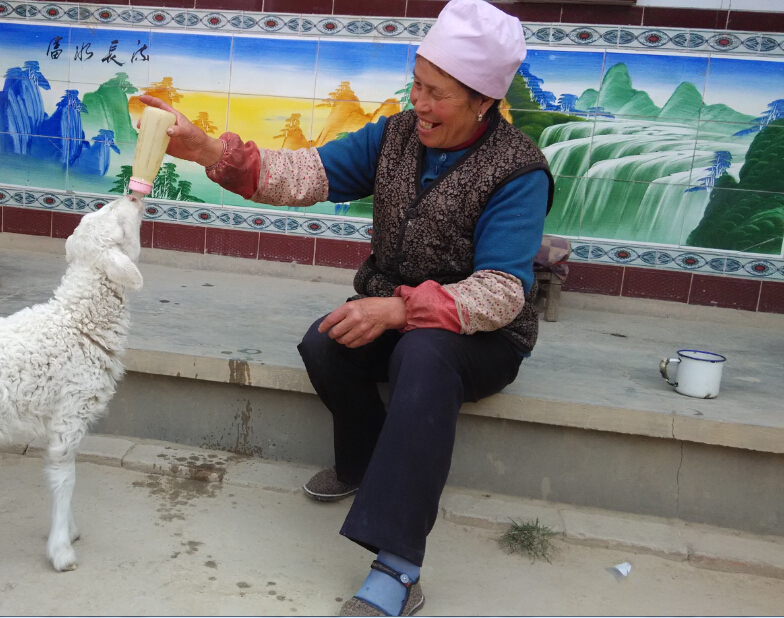 Mrs. Ma lives in the village of Lucha in central Gansu Province with her divorced son and two young grandchildren. 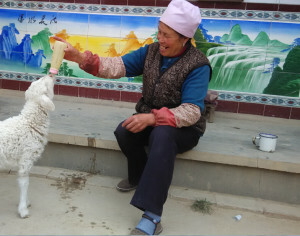 At nearly 60 years of age, she is kept busy taking care of the household and doing work on her farm. Years of intense physical labor have taken their toll on Mrs. Ma’s health. During busy planting and harvesting seasons, long days spent working in the fields cause her back pain so severe that she is unable to stand up straight or fall asleep at night. Her granddaughter helps by giving her massages, though sometimes only painkillers provide relief. Transportation networks to Mrs. Ma’s remote village are underdeveloped, and travel becomes even more difficult during inclement weather. Nevertheless, she and her son must gather drinking water from a cistern located five kilometers from their home—a trip they make by tractor nearly 20 times between February and May each year. Meanwhile, in a region that already suffers from low levels of precipitation, droughts have become more frequent in recent years, including the most severe one in a century that occurred in 2009. The already challenging lives of women in poor rural areas have become even harsher due to the intensification of drought caused by climate change. They face difficulties accessing drinking water, feeding livestock, and gathering enough wood for fuel. Declining incomes combined with rising costs contribute to poorer health and lower living standards. 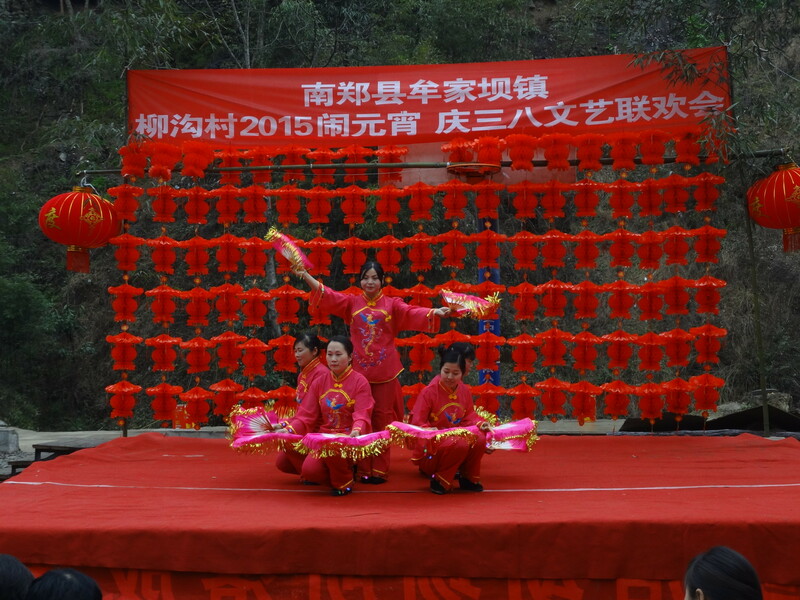 However, Chinese rural women are not merely victims of their circumstances; some are initiating important changes in their own communities. Liu Juan, who lives in a small village in the south of Shaanxi province, is the mother of an 11-year-old child. Her family earns a living by growing and processing tea and running a tea-making workshop. In the past, like most housewives in the countryside, Liu Juan was concerned primarily with her family and the work on her farm. But things began to change in 2011, when, admired for her industriousness and patient nature, she was elected as the woman’s director of the village. Since then, she handles public affairs by day and processes tea leaves with her husband and his parents by night. To guarantee the quality of the tea, they work throughout the night preparing fresh leaves to deliver to customers across the country the following day. 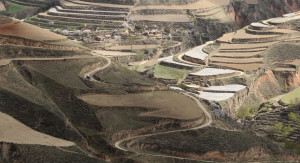 On July 9, 2012—an unforgettable date for Liu Juan and her family—the biggest rainstorm in sixty years hit southern Shaanxi, triggering floods which devastated roads, houses, and tea gardens. Liu Juan’s house, which was near the river, was one of the worst hit, and the livelihood that she had worked so hard to achieve was quickly destroyed. 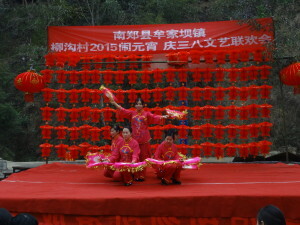 In response to the flood, Oxfam supported its partner, the Shaanxi Mothers’ Environmental Protection Association, in launching a three-year rehabilitation project. The effort helps the village with infrastructure projects, including the construction of drinking water facilities and road drainage systems, to enhance disaster prevention capabilities and reduce the devastating impact of flooding. 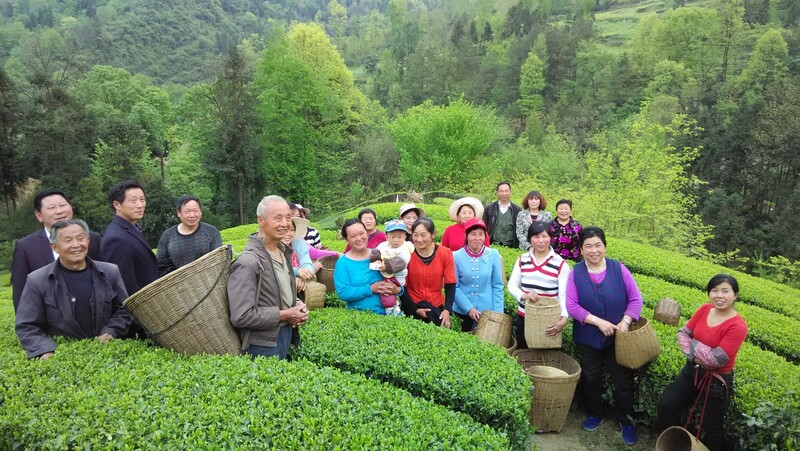 With encouragement from project staff, Liu Juan was selected to manage the recovery of the tea production industry. To minimize costs, she drew upon her network of friends and acquaintances to find the best building materials for the money and organized volunteers to transport them for free. In order to both mitigate the effects of climate change and promote the development of the tea industry, Liu Juan and the village team leader encouraged their neighbors to grow organic tea. They invited experts to teach villagers how to improve the quality of their tea by using fewer chemical fertilizers and pesticides. 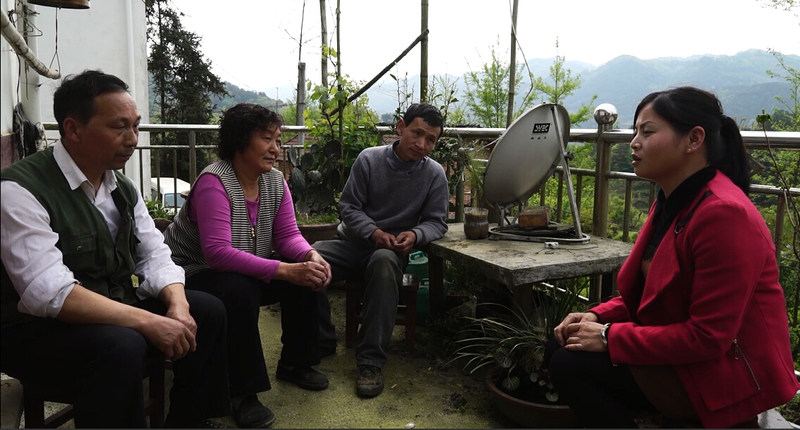 However, Liu Juan continues to worry about the growing impact of climate change, as severe rainstorms have hit her village more frequently, and flood season arrives earlier and lasts longer. For Liu Jian to succeed in disaster prevention and relief, merely relying on external assistance is not enough. 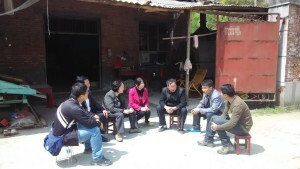 Following discussions with other village leaders, a decision was made to install loudspeakers to provide residents with early warnings of natural disasters. The villagers also now purchase and store relief supplies. 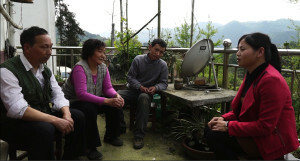 Liu Juan has become a community leader who no longer focuses only on her own family’s affairs. She has won admiration and respect from those living in her village and beyond, and was even invited by the leader of the town where she was raised to serve as a women’s director there. 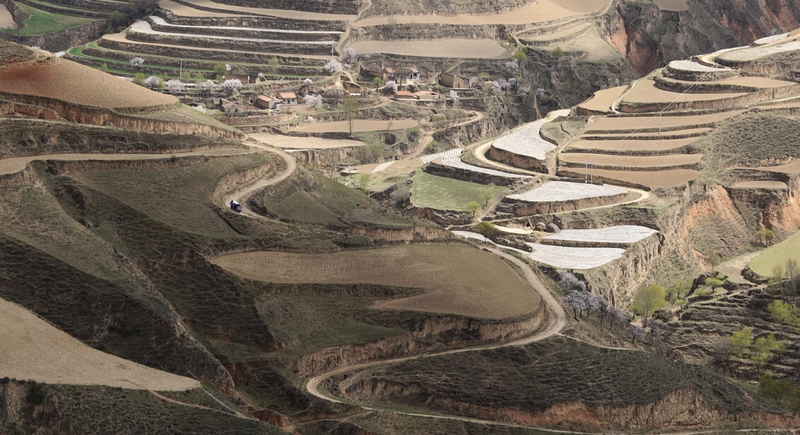 Participating in the project to tackle climate change has been an education for Liu Juan, who began to think proactively about infrastructure planning and management, community development, and her own village’s cultural heritage. The result has been a transformation not just for Liu Juan, but for her entire community. Lucy Edwards provided editorial assistance.